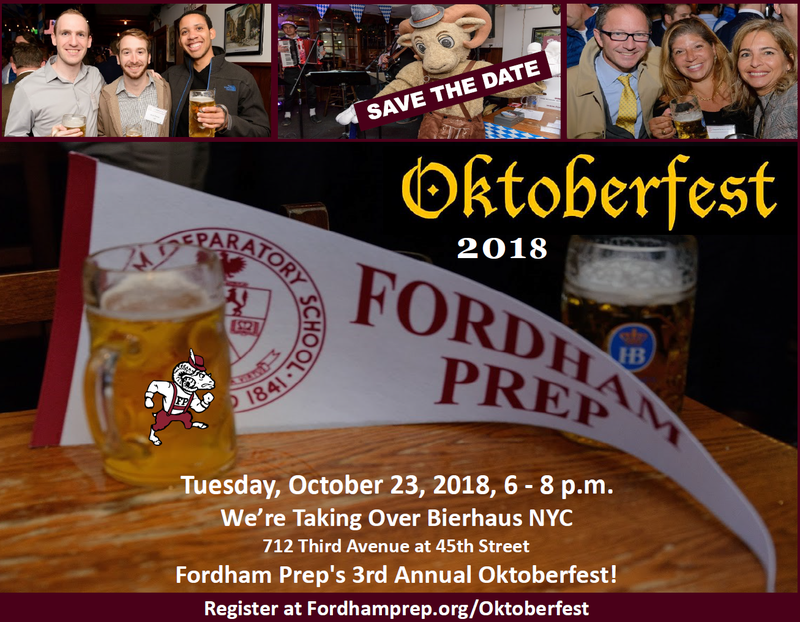 Tickets are already on sale for the Prep's 2018 Oktoberfest, and are going fast with over 100 alumni and parents signed up! Make sure you register today to avoid being left out. Last year's event was a sell-out so don't miss out on the great German brews, beer-friendly food, music and a night to enjoy with fellow alumni, parents and friends. Plus, this year we're offering sponsorship opportunities that can prominently feature your support of the Prep and its students -- who may not be able to attend Oktoberfest but certainly will appreciate your generosity! Please see our invitation for signup and sponsorship information. Let's raise a stein to the Prep together -- Prost!